Demand for our online courses has been pretty impressive, which is great. 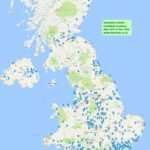 In the first 12 months, almost 300 candidates took part one of our online courses (See our course stats page for numbers & map). It could be that some students are unable to attend formal club training sessions for whatever reasons, and want to learn from home. The course can also be a handy tool for allowing students to learn alongside a club’s own training, or to get up-to-speed in the gaps between training courses. Our video content has been found to be very useful for learners who struggle with reading, or have dyslexia – students can watch the videos which explain each module, and take the short online multiple choice tests. 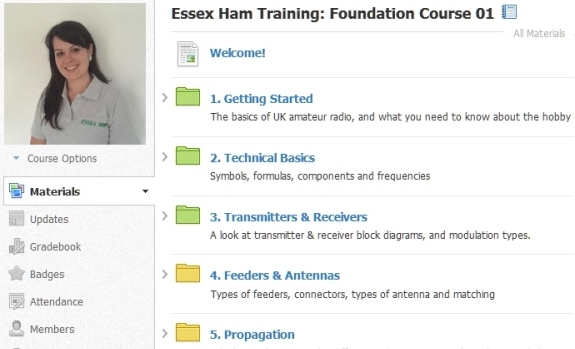 Regardless, if our course is of use, great… as we want to get more people into the hobby. Also, being blatant, some clubs are just interested / nosey, or looking for ideas on expanding their own courses, perhaps with their own online training option. No problem with that, and you can even have a look aroun dthe online classroom for ideas. The way the course works is that a student registers with us online, and we send them the details in the form of a PDF. Courses are free, and we’re currently running them once a month. Once the course starts, we email students with the details of the VLE (Virtual Learning Environment). We use ‘Schoology’ as our virtual classroom platform. Once they’re in, we deliver the course over nine modules (3 a week usually). Each module is aligned to the chapters of the book and the Foundation syllabus, which keeps it simple. Students can interact along the way, and we can see which students are struggling, by the online scores and engagement time. There is a video with each module, and each module ends with a multi-choice quiz. There’s a mock half-way through, and a full mock at the end. Obviously, practicals and exams are out-of-scope of the online course, but we have some videos showing what’s involved on the practicals. There’s no charge for the course, and no strings attached. We do ask for an optional donation at the end of the course (£5 by PayPal), but that’s totally optional, and helps to cover our hosting costs. The course is run online mostly by Pete M0PSX. Pete’s a Registered Assessor, has completed the RSGB’s Train The Trainers, and holds a DBS (should any under 16s sign up). As a trial, we’ve worked with two clubs in East Anglia who wanted to let their students learn online (with the club’s guidance), and take the practicals at their normal club venue. The process has worked well, and has the benefit of allowing the club’s training team to get feedback on a candidate’s progress, to help with local mentoring. Talk to us if that’s something you might be interested in. Happy to help answer any questions you may have, and also to find out if this is something that might be of use / interest for your club.